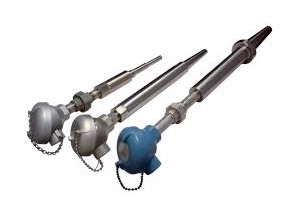 A temperature sensor is key to any heat tracing application as it provides temperature feedback about the pipe temperature, which in turn, is used turn on or off the heating system (electric pipe tracing or steam control valve). The temperature sensor is critical for both categories of heat tracing - process temperature maintenance and freeze protection. Failure to maintain process temperature in a pipe or vessel could significantly effect product quality, or cause failure of ancillary equipment such as pumps, valves, and compressors. Properly protecting against freezing keeps pipes from bursting or product from blocking the flow. For both situations, product maintenance and freeze protection, accurate and reliable temperature sensing is critical. 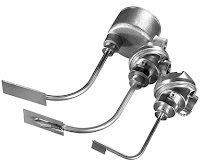 There’s a new and very innovative line of RTD temperature assemblies specifically designed for heat tracing applications. The unique, replaceable element concept can save customers both time and money, plus increase overall system reliability and up-time. A major refining company determined that they save over $1,000 in labor each time they have to replace a sensor and have reduced their repair time from two days to less than one hour.